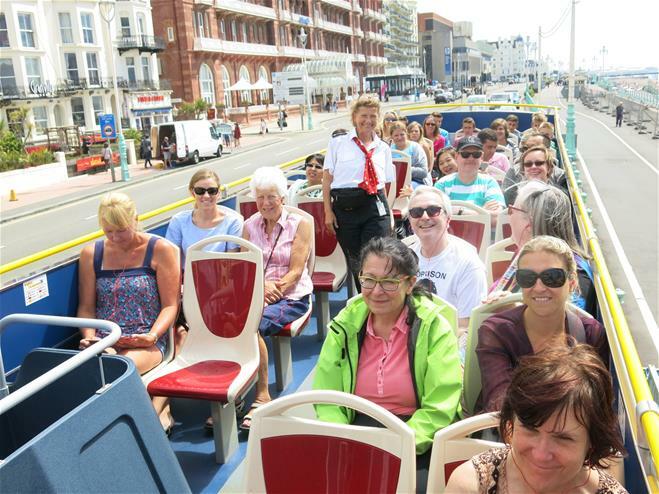 Join at one of the 15 stops located around Brighton to see all the Brighton sights including the Royal Pavilion and the beautiful Regency architecture, travel easily around the city and learn all there is to know about this special seaside destination. 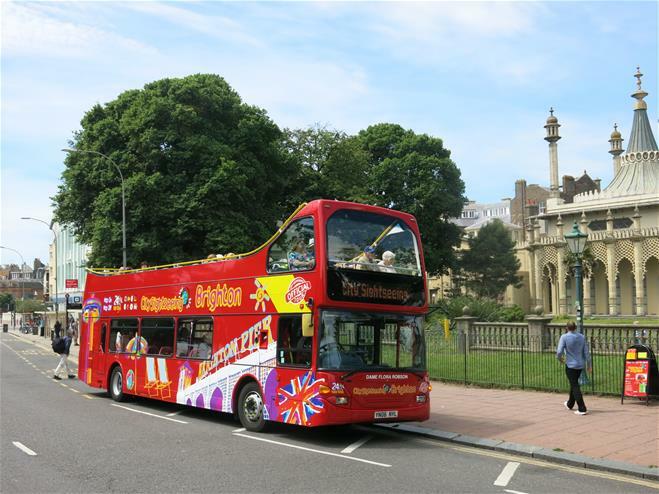 Stops include Brighton Pier, King's Road, Grand Avenue, Palmeira Square, Lansdowne Road, St Anns Well Gardens & Furze Court, Brighton Station, Imperial Arcade, Marine Parade, Royal Crescent and Brighton Marina. Hop-On Hop-Off tour. Buses run every hour.